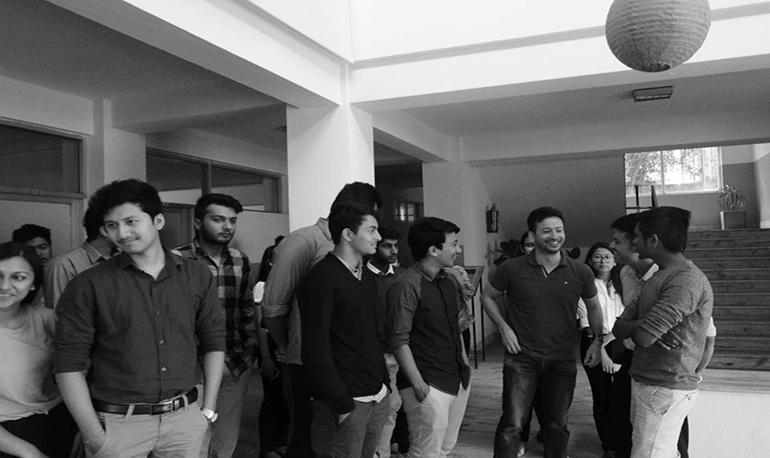 The Student Council Orientation was held at the Kathmandu College of Management premises on the 15th of September, 2016 with the aim to enlighten the new council members about the establishment and purpose of the Student Council. The event was moderated by the council president Mr. Ishan Bista, who was accompanied by KCM Alumni and past KCM Student Council members Mr. Sabin Joshi, Mr. Aditya Piya, Mr. Vaibhav Poddar and Ms. Samyukta Rupakheti. Also, among the participants was the immediate past president of the KCM Student Council, Mr. Karan Agrawal. The speakers shared their experience of working in the council and the challenges they faced during their tenure. Mr. Joshi shared his expertise on developing an effective revenue model. Similarly, Mr. Piya focused on involving students in college activities and creating students’ welfare. Likewise, Mr Poddar and Ms. Rupakheti emphasized on the core values of the KCM Student Council. The session was very interactive and ended on an encouraging note. After the event, very optimistic feedbacks were received from all the participants.